Tangalle is a sleepy fishing port in the island’s deep south where villagers go about their daily chores with an unhurried charm, stopping frequently to chat with relatives and friends. Its main attraction are the many beaches that surround the town to the east and west – some of the island’s most picturesque, tranquil and unspoilt. 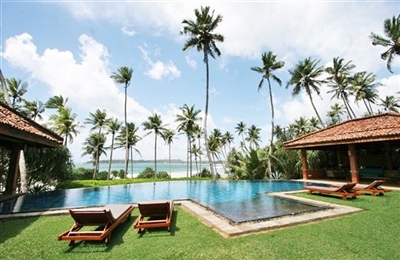 Reached along narrow tracks from the main road and hidden by rocky headlands which ensure that they remain undiscovered, many of these beaches, such as Seenimodera, Mawella and Nilwala, are flanked by beautiful patches of jungle and overhanging palms. Coves, rocky outcrops and bursting blowholes dramatise them whilst the rolling surf of the deep blue ocean provides an endless melody to accompany the picture-postcard scene. Inland from Tangalle, the scene is very rural; while the beaches are scattered with colourful fishing catamarans, the plains inland are carpeted with vast paddy fields where farmers are hard at work tending to their golden crops. Only lush jungle, palm tree islands, lotus-filled lakes and a few rocky outcrops vary the landscape, whilst breathtaking cave temples such as Mulkirigala are hidden within their midst. 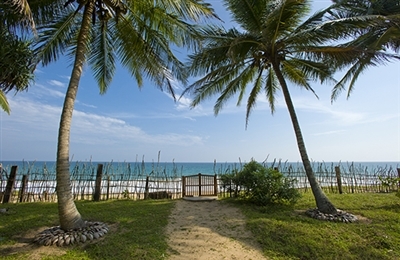 Tangalle has a supermarket, a handful of banks and a fresh produce market whilst eating out is a low-key affair; the region’s delectable ocean cuisine is typically enjoyed in a rustic restaurant overlooking the beach.